Designed to optimize moisture management, the Craft Women's Breakaway Singlet is a lightweight, comfortable running singlet. Featuring thin shoulder straps and a racerback design, the Breakaway is lightweight and secure, perfect for long runs in summer. With a 100% polyester construction, the Breakaway wicks moisture away from your skin and rapidly evaporates it into the air, keeping you cooler, longer. 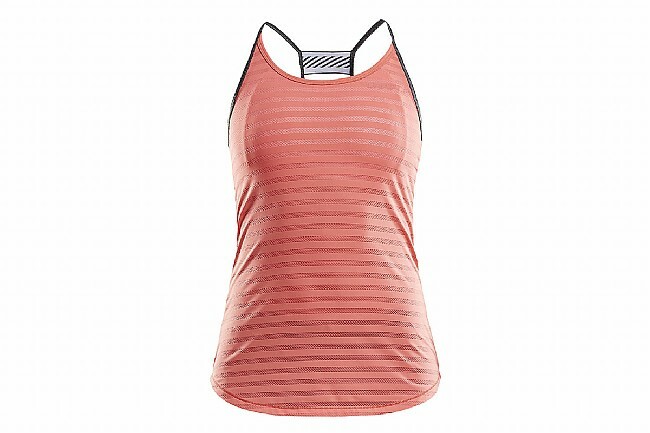 The Craft Women's Breakaway Singlet provides UPF 40+ protection. Available in sizes S – L.